LAYTON, Utah — Netflix's hit film "Bird Box" has sparked an internet challenge that is both dangerous and superfluous. If you haven't seen the viral film yet, it stars Sandra Bullock, who has to make a dangerous journey with two small children completely blind-folded. The movie's characters can't remove their blindfolds at the risk of seeing an entity that will cause them to take their own lives. Now, internet users are trying their own blind-folded challenges. Some have been relatively harmless, like walking around one's living room or walking through a mall while blindfolded. But police in Layton, Utah had a warning Friday after one person took things too far. 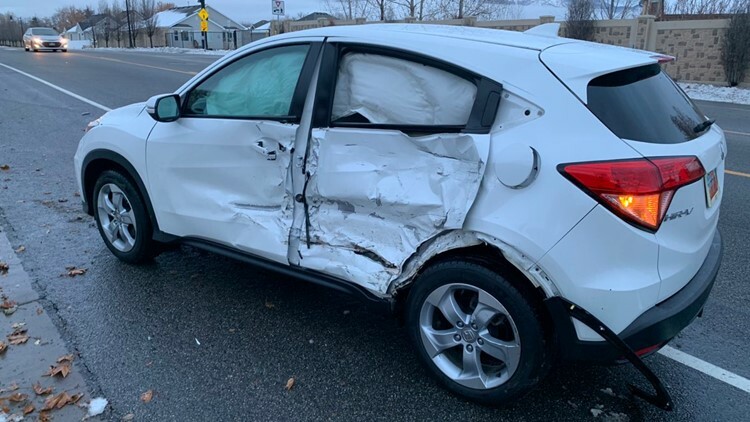 Layton police say someone attempted the "Bird Box" Challenge while driving Monday. They say the female driver covered her eyes while traveling on Layton Parkway, which is north of Salt Lake City. The Associated Press says the driver, who is 17 years old, hit another car when her vehicle drifted into oncoming traffic. Miraculously, no one was injured, according to police. Netflix said two weeks ago that more than 45 million of its accounts had viewed "Bird Box."